New Jersey lawmakers are moving to license pet groomers after several New Jerseyans’ canine companions sadly died, allegedly due to grooming at well-known pet stores. The legislation cleared a key hurdle last week when the New Jersey General Assembly approved Assembly Bill 3044, named “Bijou’s Law” after a Shih Tzu who died during a grooming. The bill now moves to the Senate for further deliberation. The likely effect of this board would be to make it harder for people to become groomers, and to make grooming more costly for pet owners. Meanwhile, established practitioners will reap the rewards that flow from higher prices and reduced competition. Four years have passed since Democratic Assemblywoman Valerie Vainieri Huttle first introduced Bijou’s Law. The idea behind the bill, as Bijou’s owner Rosemary Marchetto said in committee testimony, is to have mandatory licensing requirements for all pet groomers in New Jersey and in every other state. After the bill died in 2014, Huttle reintroduced it in 2016, when it stalled in the Regulated Professions Committee, and reintroduced it again in 2018, after the post-grooming death of Scruffles, an 8-year-old bulldog. New Jersey Advance Media investigated the allegations of grooming-related deaths—particularly those associated with the retail chain PetSmart—and identified 47 documented cases across 14 states since 2008. Twenty of those 47 cases involved brachycephalic dogs: flat-faced, short-nosed dogs, including bulldogs like Scruffles and Shih Tzus like Bijou, which are known to have breathing issues. But only nine of those cases occurred in New Jersey. Each of those individual pet owners could sue the pet groomer, and possibly settle out of court as Marchetto and other pet owners have. PetSmart also now offers “specialized care” for at least some brachycephalic dogs. How does the New Jersey General Assembly plan to top that? 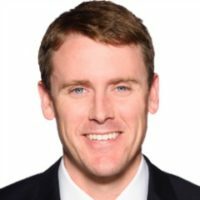 First, the bill would prohibit licensing anyone under 18 and anyone who lacks “good moral character”—a phrase that appears in many occupational licensing schemes, and often bars individuals with a criminal record from obtaining gainful, lawful employment. The bill would also force would-be pet groomers to pass a written test, complete a “practical demonstration,” and pay a $75 licensure fee. Once licensed, groomers would have to pay a $50 license renewal fee every two years, complete any continuing education requirements that the State Board of Pet Groomers may require, and follow state grooming regulations—including reporting any injuries, illnesses, deaths, or escapes to the board. 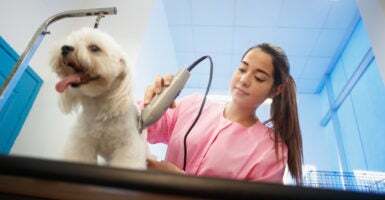 Colorado has a similar reporting requirement for pet groomers, and the state issues licenses for animal care facilities, but it does not impose costly prerequisites for each individual groomer to work. Here’s hoping that New Jersey and other states keep moving forward, not backward, on this important issue.